Oncology Massage is a gentle therapeutic touch that supports patients with cancer. Research has shown that Oncology Massage improves symptom management and quality of life for people with a history or diagnosis of cancer. Oncology Massage can reduce the side effects of conventional treatment of cancer and the symptoms of the disease process itself. It is a gentle touch massage that is relaxing and non-invasive. Other symptoms such as memory problems, shortness of breath, dry mouth and disturbed sleep also significantly improved. The Lymphatic System supports the body's immune system and helps rid the body of toxins and unwanted waste materials. 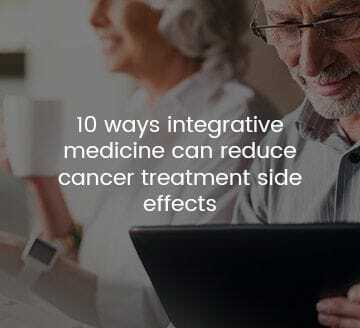 As cancer treatments are very demanding on the body, encouraging the flow of lymph fluid can be beneficial and lessen the severity of symptoms. Lymphatic Drainage can be beneficial in the correction of numerous conditions, as well as in preventive health maintenance. It has been shown to be particularly beneficial for those recovering from respiratory infections, chronic fatigue, and also for the physically inactive; or recuperation from long illness or surgery; and ongoing rehabilitation such as cancer treatment plans. Massage during treatment may lift your mood and lower your stress response. The treatment is administered by a Lymphatic Drainage Massage Specialist who uses touch techniques which are gentle, specific and non-invasive. What to expect during an Oncology or Lymphatic Massage? The initial appointment will be approximately 60-75 minutes and your practitioner will work with you to discuss a treatment plan and program that's best for you. It will be completely tailored to your preferences and which areas of your body you would like to focus on, whether it's the whole body, or even just your hands, feet or scalp. A history is taken at the beginning of each appointment so that each treatment can be correctly tailored to your particular needs. Follow up treatments can be 30, 45 of 60 minutes. Oncology and Lymphatic Massage is light and gentle, and a person can expect to feel comfortable and relaxed. How often should I have Oncology or Lymphatic Drainage Massage? This depends on the person's need to have physical therapy and a treatment plan can be tailored by the practitioner. This may be weekly or monthly, depending on whether you are receiving current treatment, are coming for maintenance, or until your issues are suitable reduced. Health funds that cover remedial massage will also cover you for Lymphatic Drainage. Most funds provide refunds via HICAPS and you will be able to claim your rebate on the spot in the clinic. MIOG also offers Remedial Massage and Myotherapy for non-oncology patient. Contact us to book in for your remedial therapy today.